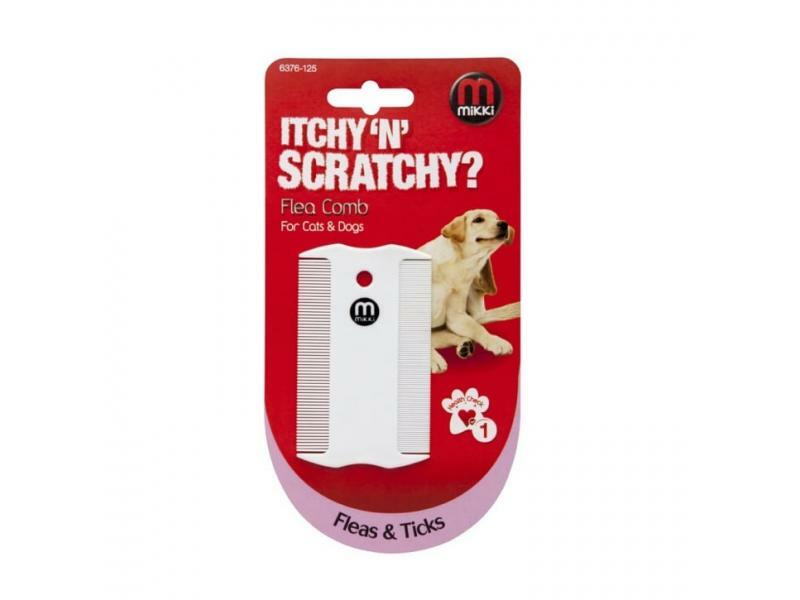 Flea combs work by physically removing fleas and other tiny pests by passing the finely toothed comb through your pet's coat. 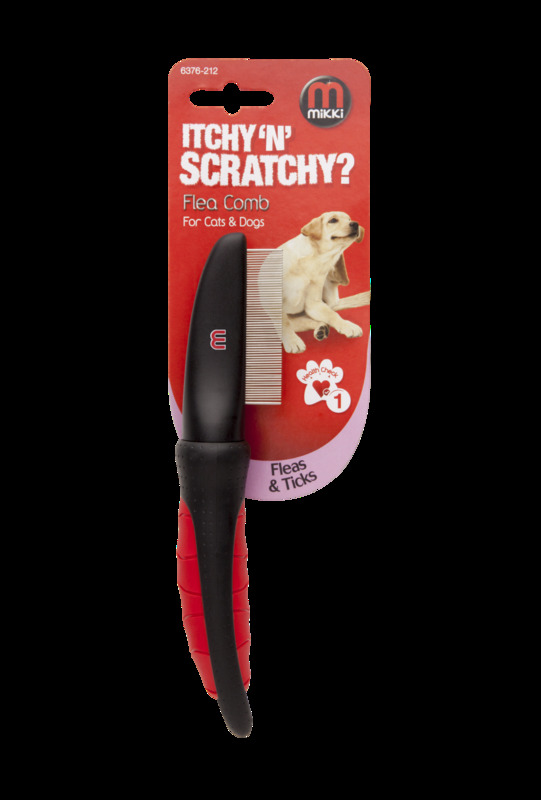 The spaces between the teeth of the comb are smaller than the diameter of a flea, so they are easily removed. However, this is a slow process and takes some while to complete, so a comb which is comfortable to use, such as this Mikki comb, is a great advantage. 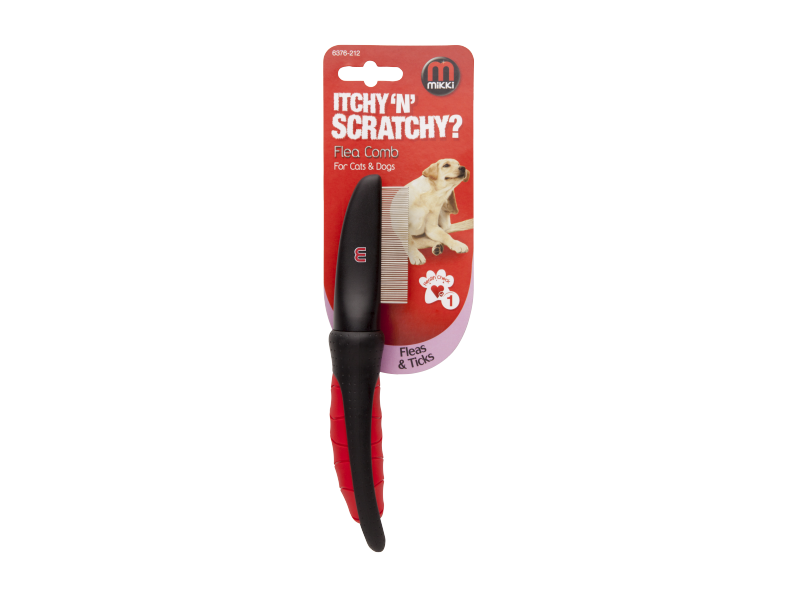 Available as an all plastic comb or with a comfortable ergonomic handle. 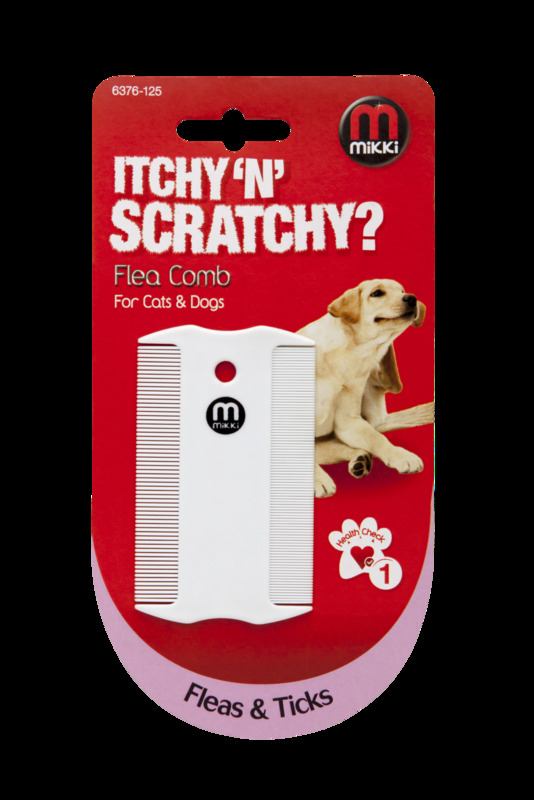 Below are some recent questions we've received regarding Mikki Flea Comb for Dogs & Cats, including answers from our team. It is certainly possible to get metal flea combs. 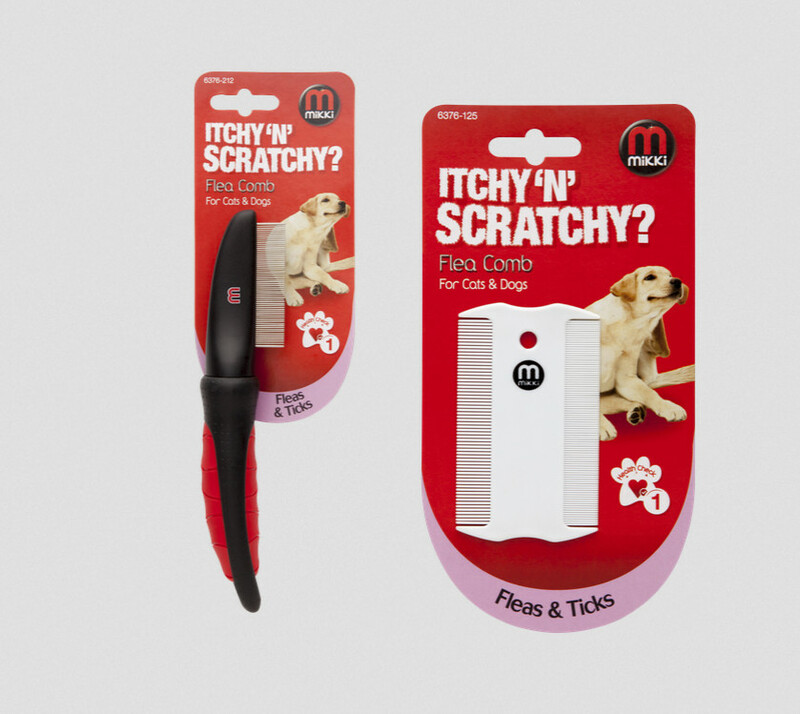 The link below is to the flea combs with I use and they are a really great range.